This heart-warming family ornament depicts a family of 3 sitting on a simple fence with the parents proudly leaning in around their child. 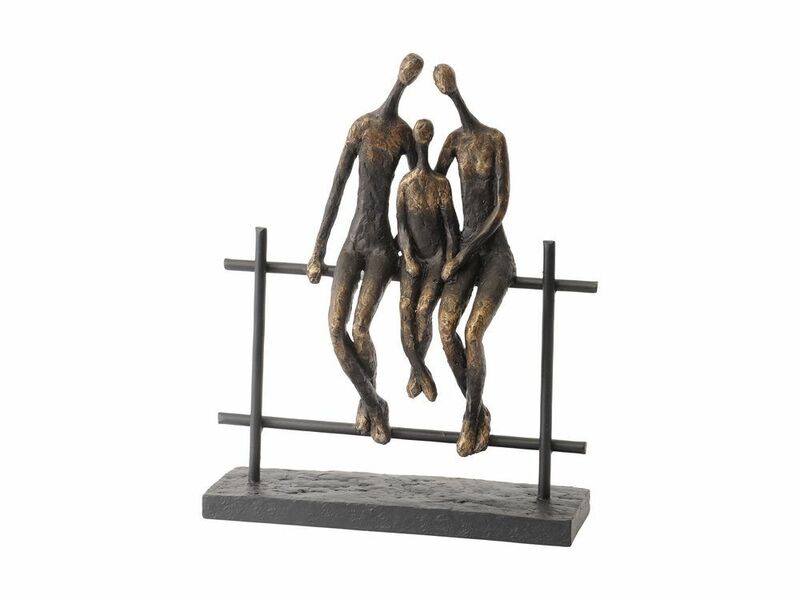 Made in bronze finish resin, the simplified figures are captured with their legs dangling and feet crossed in a carefree way, as if taking a rest on a country walk. Roughly cast for abstract appeal, the metal fence pole seems to frame the idyllic scene and is mounted on a textured black resin base. This sculpture is part of a series of beautiful family ornaments that feature a variety of configurations to suit yours or your friends.